It's a major milestone for cosmologists, reports CBS News correspondent Mark Strassmann. Black holes are the universe's most powerful vacuum. They inhale everything – not even light can escape their pull. Anand Mahindra Has The Most Desi Reaction To The First Ever Image Of The Black Hole. Currently, everyone across the world is talking about the black hole and so is businessman Anand Mahindra, but in his own desi style. 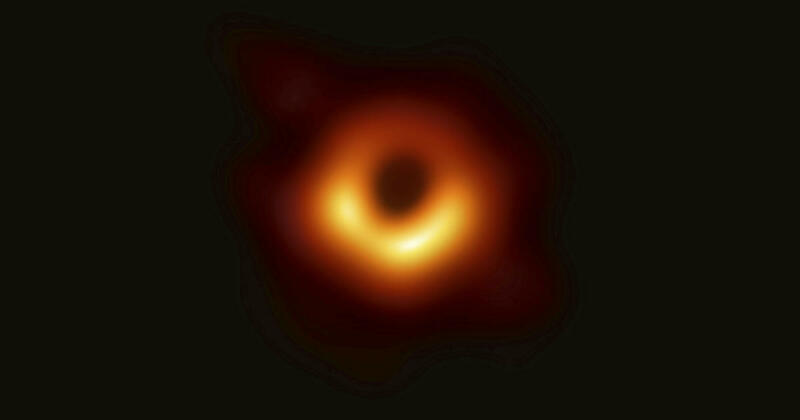 When the National Science Foundation shared the image of the black hole on Twitter, Anand Mahindra's 'sweet tooth' wrote, "One of the theories of the origin of our Universe is that it was born out of a black hole... So in the end, we are all inheritors of an intergalactic dunkin donuts franchise." What do you think the black hole looks like? Good one. High time, the businesse leaders like Anand Mahindra, Rajeev Bajaj, Uday Kotak, etc..enter politics. Even if they don't become PM due to lack of mass base, they can contribute to policies immsensely. All parties should do this on priority, otherwise, they will not be able to expand the economy and jobs at the rate india needs to !! The final countdown will begin soon in Forum. Suddenly a post would be written about how some Puranic story described the black hole. But too bad...Nithyananda beat everyone ..he linked it to Agama Shastras concept of Aghora Shiva.